Capitalizing on current trends makes the audience relate better to the current affairs, and there is no better topic on everybody’s lips other than politics. 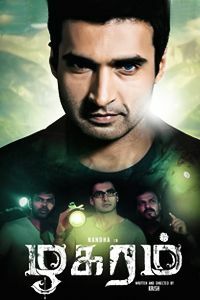 Debutant Rajkumar has made a movie that is half baked on satire, comical revenge drama and what not. Annanukku Jai is almost like a sequel for Dinesh, who seems fresh from the sets of Attakatthi, also quoting in the movie that he is nothing more than Attakatthi. 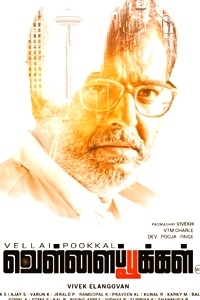 With minimal budget, Vettrimaran has produced this flick which is majorly set in a village. Dinesh is Sekar…. Opps “Matta Sekar”, as is the case of any politicians rise from being a vagabond. He is a drunkard, good for nothing felon is deeply in love with Mahima Nambiar with whom he quarrels in almost every scene they are together. He respects his father Mayilsamy who minds his own business. The story shoots from a point where a politically aspiring bar owner insults Mayilsamy angering Sekar to payback. 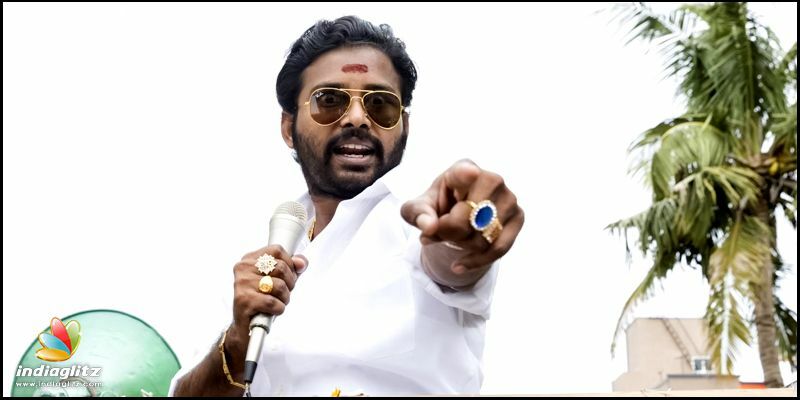 From then its Sekar tries to prove his innocence in murder, however that turns out as a good karma for him bringing him fame and name into the political arena. How he manages the dirty politics and tries to revive a name for himself forms the plot. With a string storyline, Rajkumar capitalizes on the twists in politics, makes use of Radha Ravi and Dinesh in the most apt way. Once the plot is set with Sekar being fraped for murder the story kicks in with a lot of twists and turns taking into consideration that politics in our country was built on such events. 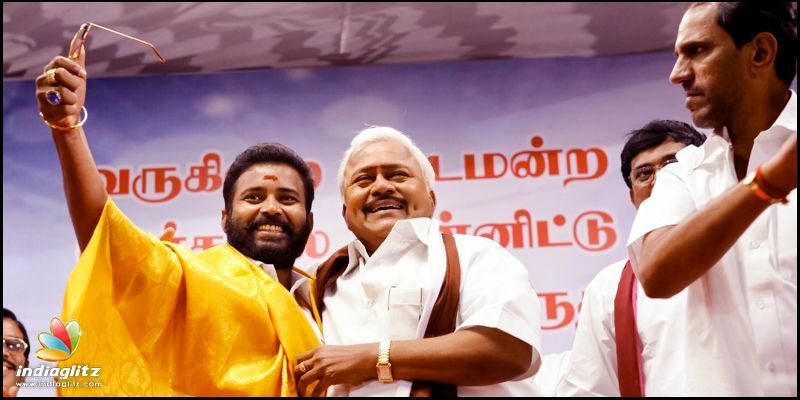 While we have seen movies like Madras that shows the dirty side of politics where innocent party cadres are framed into the party’s ideologies, this is almost similar in that aspect except that the treatment is satire, comical and jovial. Matta Sekar has two faces, the one that everyone fears, just a deadly “Scream” from him could send the opponents running in mock fear, but is it anger or just his outburst of fear? The portions are hilarious and sends the floor down with laughter, Dinesh is apt for that Attakatthi boy who refuses to take up the big fight, but it comes down to him nevertheless. He is totally on to that Matta Sekar role and is simply a delight to watch. Radha Ravi is in his comfortable best, a satirical take on everything and as politician who would like to bask on the current scenario with an eye for the bigger chair. The strength of the film lies when Dinesh steps into the political arena, until then its rather dull and goes without a purpose. The lead up to the dog fight for a bar between two upcoming politicians takes enough time, and then there is the side track of Mahima – Dinesh love portions. While this consumes almost an hour, once Dinesh gets a knack of politics, it’s fun and the underlying vibe is entertaining. The film does not try hard to demean politics by mouthing sarcastic dialogues or so, it simply shows what politicians are capable of to keep their seat intact. Rajkumar has a good future, for his humor is genuine, he doesn’t need a comedian or a separate comical track to drive home the jokes. Instead uses his hero to the best level. Arrol Corelli’s music is a big plus, the track “En Peru Matta Sekar” is visualized and conceptualized very well. Annanukku Jai is a time pass entertainer, it does not ambitious to do its part of entertainment but serves the purpose fair enough. Barring the first half, the second should give some enjoyable moments.